10 Melbourne suburbs to rent a room for less than $200. As demand for good locations skyrockets in major cities, finding an affordable and well-located suburb can be daunting. Recent data from Flatmates.com.au has revealed that individual rooms in Melbourne suburbs are increasingly tipping over the $200 per week mark, with the top 25 suburbs now averaging over $220 pw. General Manager of Flatmates.com.au Thomas Clement said demand for living close to the city kept prices high. 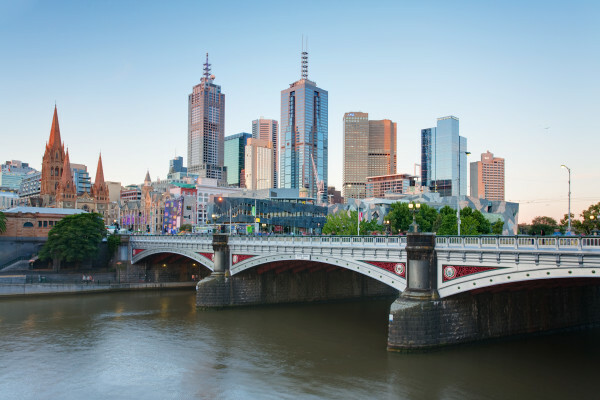 “Suburbs like Docklands are not only close to Melbourne CBD, but also offer a large number of new apartments with a host of amenities such as extra bathrooms, gyms and pools,” said Clement. The top five most expensive Melbourne suburbs were all located close to the City and garnered an average room rent over $250 per week. Yet not every Melbourne suburb need be so expensive for those looking for a place to live. Flatmates.com.au have compiled a list of Melbourne suburbs that are still within a reasonable distance of the city and average under $200 per week. Confined to the west and north of Melbourne these suburbs have recently undergone radical gentrification due to the appeal of affordable housing. They are comparable to other suburbs within 10km of the City as they are well serviced by public transport. Here are 10 suburbs with rooms for rent under $200. Jen is Flatmates.com.au's PR and Community Intern. She can usually be found traipsing around the inner-west with a large coffee and big book.